Vermiculite is a popular material when it comes to swimming pool excavation because of its desirable chemical makeup. A popular application of vermiculite is use beneath swimming pools as a pool cushion. It provides a protective base for vinyl-lined above ground pools, and provides a soft resilient pad for liner and feet. Vermiculite also can be mixed with portland cement to form an insulating monolithic porous concrete base for use beneath vinyl inground swimming pools. The base protects pools from being damaged by changes in the water table and hydrostatic pressure. Description: Specialty Vermiculite’s Concrete Pool Base Aggregate (CPBA) is a precision-mixed blend of expanded vermiculite granules with exclusive additives which provide effortless troweling, and give a textured, smooth surface finish. CPBA is lightweight, chemically inert, non-abrasive, and will not mold or decay. Use: Mixed in recommend proportions of Portland Cement, Type 1 (always use early Type 1 Portland Cement; DO NOT USE air-entrained cement) and water, CPBA is troweled in place to form a smooth, porous, long-lasting bottom for in-ground vinyl-lined pools. Faster and easier to install than packed sand, a SPV concrete pool base aggregate base reduces damage to the vinyl liner from abrasion and indentation, enhancing its beauty and extending its service life. Easy Installation: SPV concrete pool base aggregate, cement, and water form a smooth, creamy mix that is light and easy to handle. Steep side walls are no problem at all. CPBA mix readily adheres to substrate, handles and trowels far more easily than sand or sand concrete because of its surprisingly low density. It trowels super smoothly with minimum effort. Any professional crew can learn the simple installation techniques within a few hours. Non-abrasive: Unlike packed sand or sand concrete bases which literally work away like sandpaper on the underside of the vinyl liner, a CPBA base provides a non-abrasive bottom. Resistance: A CPBA base is firm and resilient, resisting the formation of pockets or footprints on the pool floor. SPV’s Concrete pool base aggregate will keep liners smoother longer than is possible with the best packed sand base. 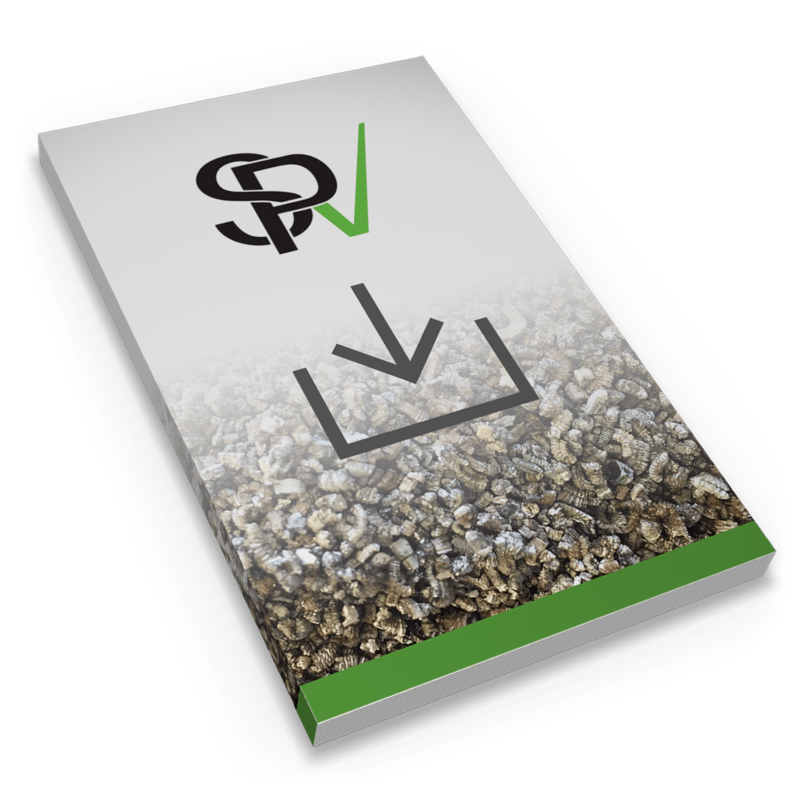 Porosity: Specialty Vermiculite’s concrete pool base aggregate contains millions of microscopic pores which permit moisture to pass through from above or below. In areas with widely varying water tables, this feature reduces base washout problems. Long Service Life: Concrete pool base aggregate is chemically inert and inorganic. It cannot mold, decay or deteriorate from contact with moisture..
For our installation guide, mixing techniques, formulation mix chart, and mix ratio chart, download our Installation guide.